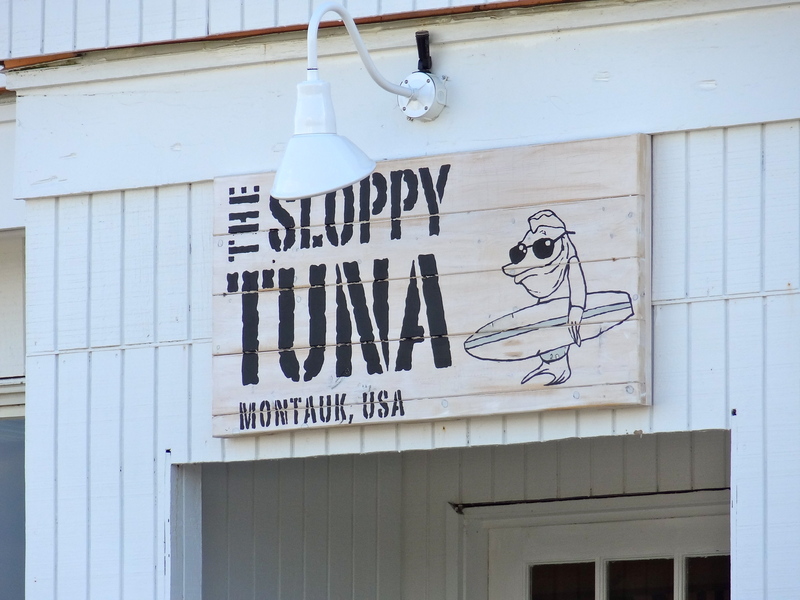 With all the noise, we mean news, about our hometown in the Wall Street Journal, the New York Times and even London’s Tatler Magazine, we thought we’d write a blog about what’s going on in Montauk, New York. Coast, opens in the Luigi’s location the first weekend in May. Owned by Tony & Sue Berkhofer (he was the chef at West Lake Clam & Chowder House). 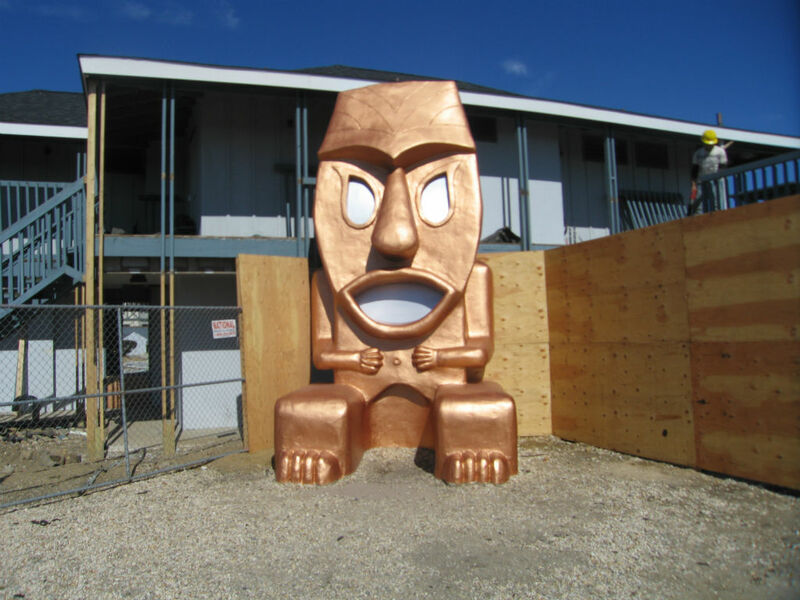 Ronjo got a bronze job and is becoming a swanky hotel called Beach House. Gosman’s Restaurant has a new chef! Dave Piacenti, who’s worked at ENE and 1770 House. Goldberg’s Bagels is opening where Dr. Cannon’s old office was. Just around the corner Katherine Nadeu’s been working her magic! Her new organic (and lovely smelling) hand spray is for sale at Moonlighting In Montauk. 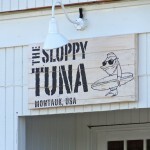 Sloppy Tuna has an all-new second floor. The bar, now upstairs, has amazing views. New chef, Reed Lucas (a local) is doing a beach menu and a raw bar. The Village Deli (aka “smelly deli”) got a big makeover. New tenants are the folks who own Fish Bar…we can’t wait. On the other side of the building, Chris Coleman is opening Saunders Real Estate’s first outpost in MTK. La Bodega, owned by Paulette Davis and Julia Prince, is replacing Plaza Restaurant. Lawrence Cook is asking everyone to come out July 21 and support the original locals – he’s the guy behind the new American Indian Museum and he’s trying to raise $750,000 to make it happen. Sam Joyce, formerly of Gosman’s can now be found at Sammy’s on the dock where Clemente’s used to be. We hear there are large and small plates priced approximately $10 and $20 and locals are loving the food. When Pig’s Fly has flown away. Kailani is selling Montauk Coordinates necklaces and Montauk nameplate necklaces and will hold trunk shows this summer. Willow has a new jewelry line coming in. Dominique Garsten has purchased Sangha Yoga, she’s renovating and reopening in May. We’re so glad that Deep Hollow Ranch riding stable is now being run by the Keogh family! Ditch Witch is back. (Phew!) Vintage Pink (In a Pepto Bismol color, you can’t miss) is a new antique shop, owned by Julie Miller. 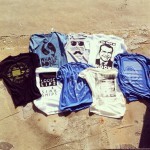 OutEast will host an opening for local artist Dalton Portella May 19th. 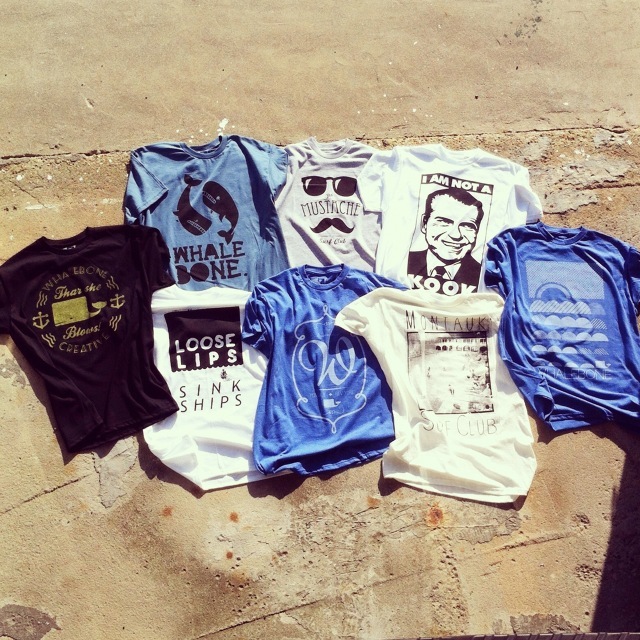 Right next door Jesse Joeckel’s Whalebone is reopening with an expanded line of surf-inspired T-shirts, bags, hats and more. Zum Schneider MTK, a satellite of a popular East Village bierhaus, is opening where Oyster Pond was. Salivar’s apparently has some issuesâ€¦. and may not open this season. Herb’s is for sale! Shagwong is for sale! Montauket is for sale! Heck, b+f is for saleâ€¦ for the right price. Have a great summer, everyone. We will see you at the beach! Did we miss some news you know about? Comment here or post it on our Facebook. The new chef at Gosman’s Dock Restaurant is Dave, not Tony. Gosman’s Topside and Inlet Cafe has a new chef as well, Matthew Nelson…..look forward to some wonderful changes! Thanks for the correction, Tara. We got Tony (at Coast) and Dave mixed up. Apologies. The post will be changed. We hadn’t heard from Chris or John about Matthew (Roberta and Emmet let us know about Dave). Thanks again for your input! what is hand spray??? thanks for the updates girls! Hand spray is like Hand Sanitizer only better b/c it’s from Montauk! Go get yo’self some! 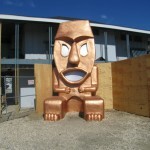 If you need to now more about what’s new in Montauk, check out the May issue of Montauk Life. We’ve got the scoop …..after scoop …. after scoop. 668 The Gig Shack may look much the same from the outside but the interior has been completely redone! Gone is the gelato counter and in with the brand new inside bar. New tables, new banquets and a new menu to boot! Same local fam! Thanks Arden, we’ll miss the gelato but we can’t wait to try the new menu! So – news! Allison Stubman’s let us know a new restaurant called WASH OUT is opening right by the train station… where the Harbor House used to be. Great suff girls, katherines hand spray is amazing! Where can we get it?? Best of luck to paulette and julia, certanily cannot go wrong with that beautiful combo…la bodega. On the plaza!!! !